NAMA Recovery of Tennessee: Language Matters!! I don't understand terminology like "clean time" when speaking clinically about a chronic relapsing metabolic disorder. (How long since a patient's last shower?) It's important that we recognize just how much language matters when we're referring to an already extremely stigmatized and misunderstood disease. Would terminology ever be used that could insinuate a patient who suffers from hypertension was somehow "dirty" if or when she experiences an unusual blood pressure elevation that her prescribed medications along with her nutrition and exercise plan effectively regulate the majority of the time? It doesn't even make sense (and it was difficult for me to even construct the previous sentence in an understandable way), does it? It is an affront to reason and logic to describe the unfortunate characteristics of an oft-relapsing metabolic disorder in a way that would suggest the person suffering with the chronic condition is personally "dirty" as the result of symptoms and/or side effects that are known and expected manifestations of the illness itself. Is it ever appropriate to insinuate - even unintentionally - that when patients experience "flare ups" of any disease or health condition that they are "not clean" or "dirty?" When we attempt to apply these word choices to other health conditions that, like opioid addiction, are chronic metabolic disorders commonly relapsing in nature it sounds foolish and doesn't make sense. And that's the point! 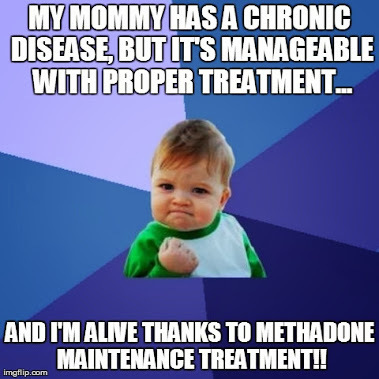 We have to recognize that our complacency in allowing people around us - sometimes even opioid dependent patients and MAT providers themselves - to continue using that kind of baseless and inaccurate language only serves to continue the stigma and perception that addictive disorders somehow are "less valid" or "not as serious" as other chronic, relapsing metabolic disorders (such as asthma, hypertension and diabetes). Language and word choices can be powerful tools that can combat stigma and increase public awareness that opioid addiction is very similar to other disorders, medically speaking, and that any words or language that would offend decency and show a void of compassion for the sick and disabled if used to describe or refer to any other disabling condition should equally outrage the merciful and decent if used to describe or refer to opioid addiction or the accepted medical treatment of the same. Language and word choices can also be powerful tools that can continue to suppress public perception and understanding of opioid addiction if we sit idly by and, through inaction and silence, complacently contribute to the perpetuation of the stigma and myths poor word choices insinuate that ultimately contribute to opioid dependent people being "2nd class patients" without "real" health conditions. 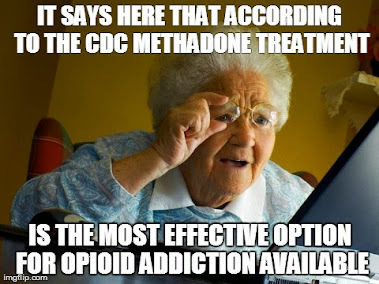 Not speaking up & pointing out these facts when we hear friends or family refer to a continuous period of effective treatment when few, if any, negative characteristics of the disease of opioid addiction manifest as "clean time" only continues to propagate the stigma and bias that re-enforces attitudes (that are without any medical or scientific basis) about people suffering from opioid addiction without treatment - or current treatment patients who may have experienced a bump in the road to recovery from this chronic, relapsing disease - such that they are "dirty drug addicts" who just need to "decide" to "clean up," and if they don't "decide to clean up" and turn a chronic relapsing disease of the brain off like a light switch then they must not be "strong enough," "have enough commitment/dedication," and/or just be "void of integrity as moral failures." 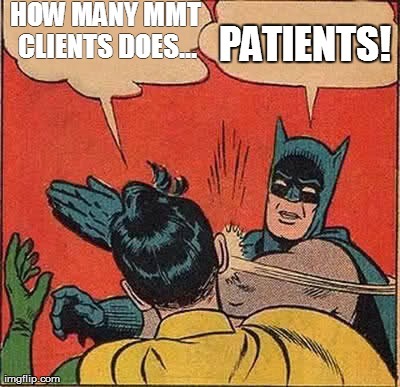 It becomes pretty clear that language very much matters when one single poor word choice could create an avalanche of stigma that fuels the very fire of misinformation, myths and hysteria around the disease and medical treatment of opioid addiction that advocates, patients and providers are working so hard to extinguish. We must recognize that if we aren't using accurate and appropriate clinical terminology when discussing or referring to opioid addiction and its medical treatment(s) as we do in reference to any and every other chronic disease then we are potentiating a prevalent but false perception that not only can cause a great deal of hurt and pain for those who are afflicted but also has absolutely no basis in decades worth of research, facts, studies, data and knowledge. Words like "clean" and "dirty," "addict" and "junky," "pass" and "fail" - to name only a very few common word choices without a clinical, scientific or truthful foundation - have no place in the discussion or mention of any chronic health condition and/or disease. Just some (very important, in my opinion) food for thought. Language matters!